And it’s so cute, too! It’s petite enough for a child, but not so big that an adult couldn’t sit it in. 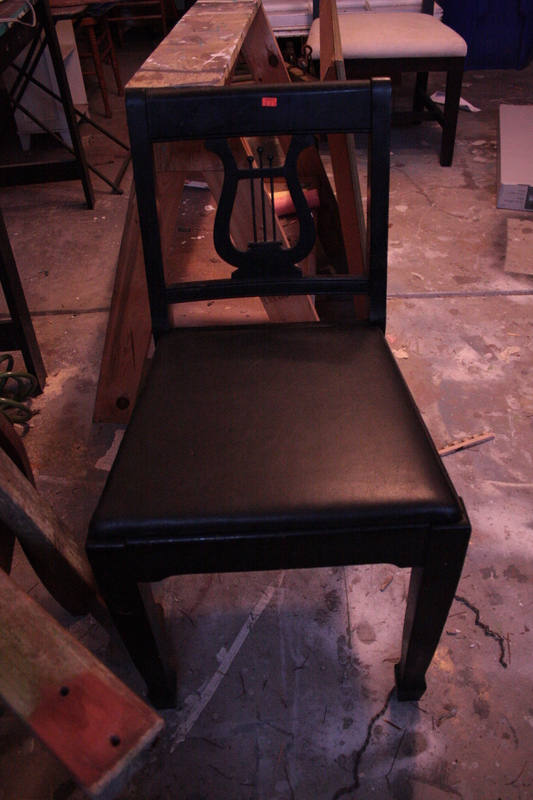 And the seat lifts up to hold sheet music! (Or books or magazines or a little throw blanket now that it is in my house!) I didn’t even realize that it had this until after I bought it. I went to pick it up and put it in my car and noticed that a leg was really wobbly. I was kind of aggravated at myself at first that I didn’t notice the broken leg when I checked out the chair before the auction. I gave it a little inspection to see how I could fix the leg and saw that 1.) the leg was a super easy fix and 2.) the seat lifted up to reveal a great little hiding spot! Double win! I went from aggravated to super excited!! 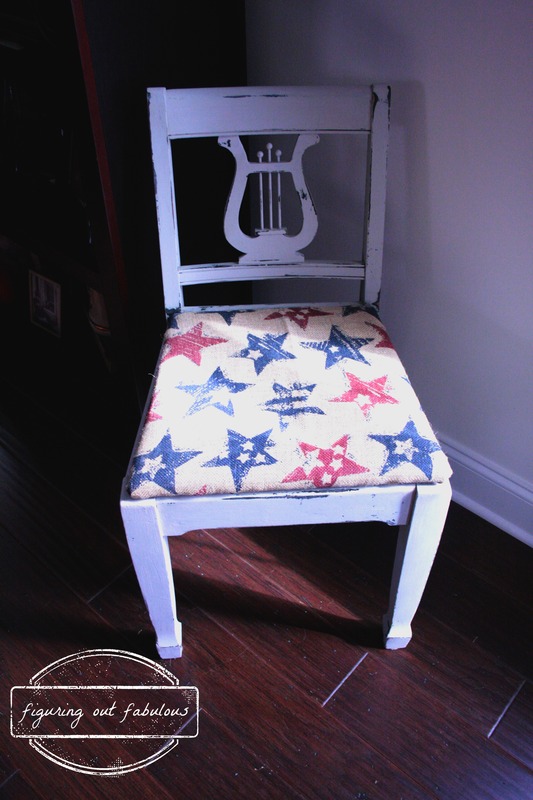 I gave it a makeover by painting it Graceful Gray by Behr and re-upholstering it using some star-spangled burlap fabric that we were previously using for curtains. The gray was much lighter than I expected it to be! It’s a very fun looking chair! And fun to have it remind you of your sorority. Stopping by from FFF.